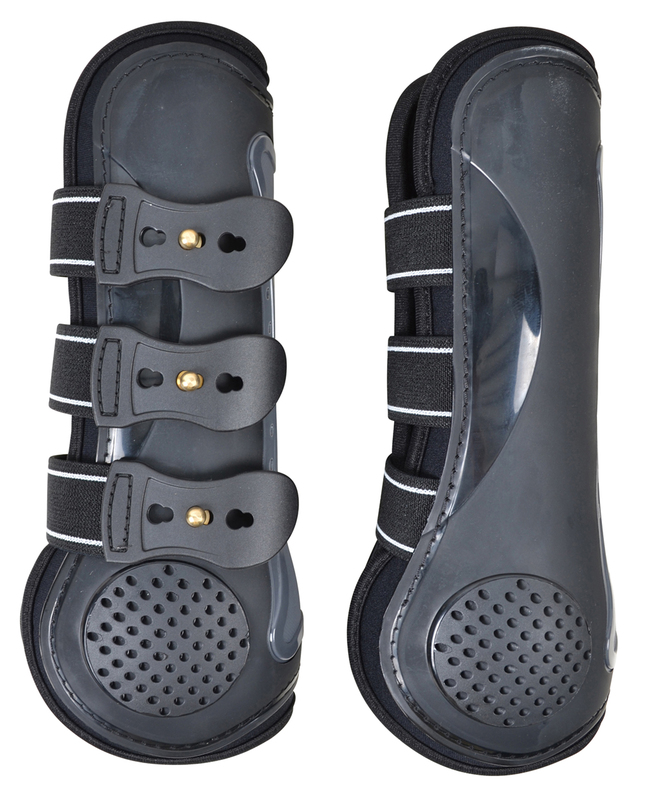 Impact resistant ventilated tendon boots infused with ceramic for increased circulation. Extra reinforced back. Inside of ceramic neoprene for added stimulation and comfort. 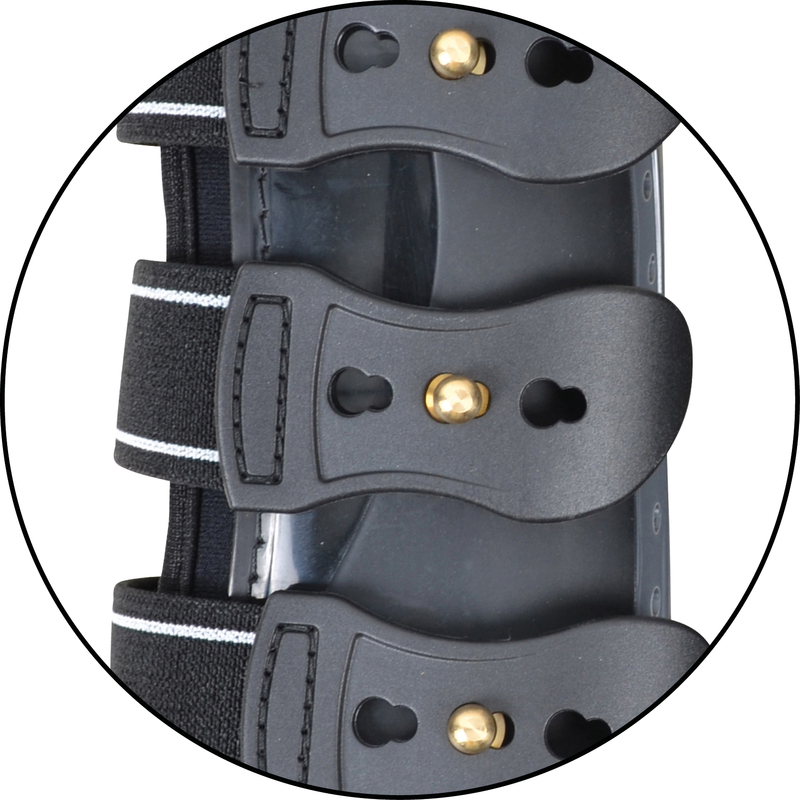 Sealed with smooth elastic straps and studs, which makes them easy to get on and off. 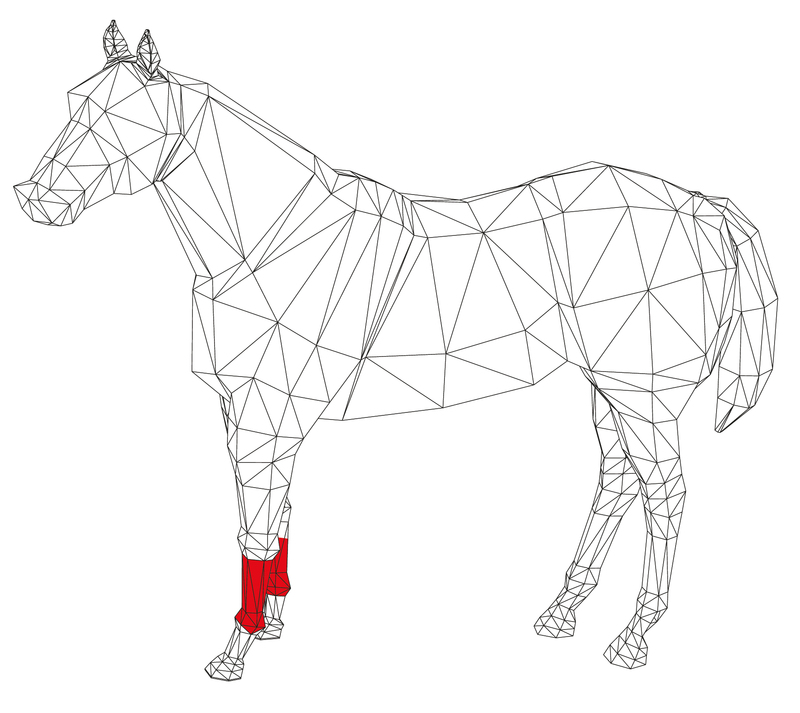 The ergonomic design is designed to also protect the fetlock. Sold in 2-pack. Smooth and elastic straps and studs, which makes them easy to get on and of. 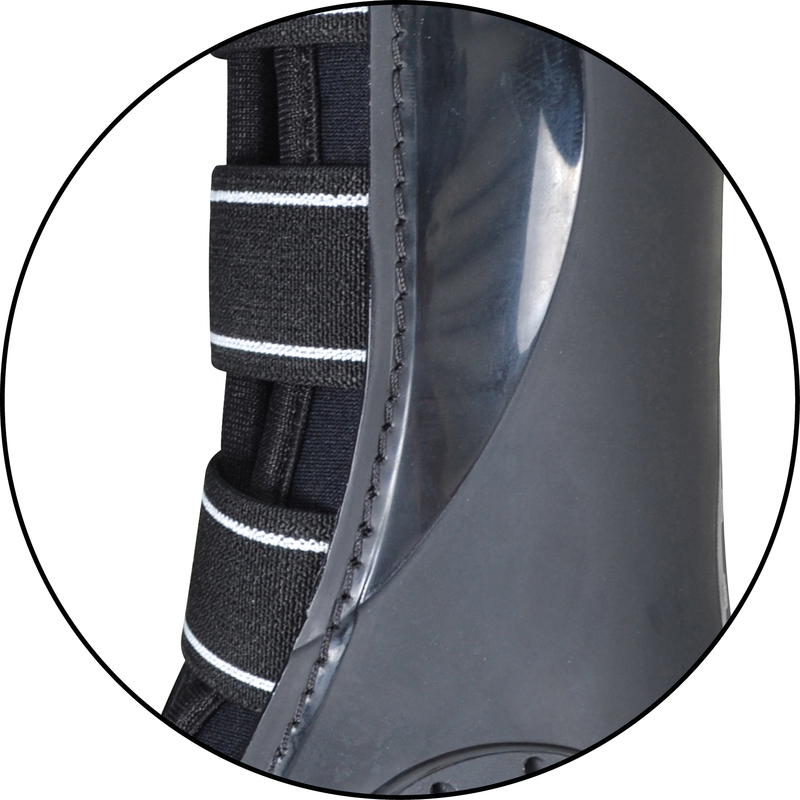 Impact resistant tendon boot with extra reinforced back. 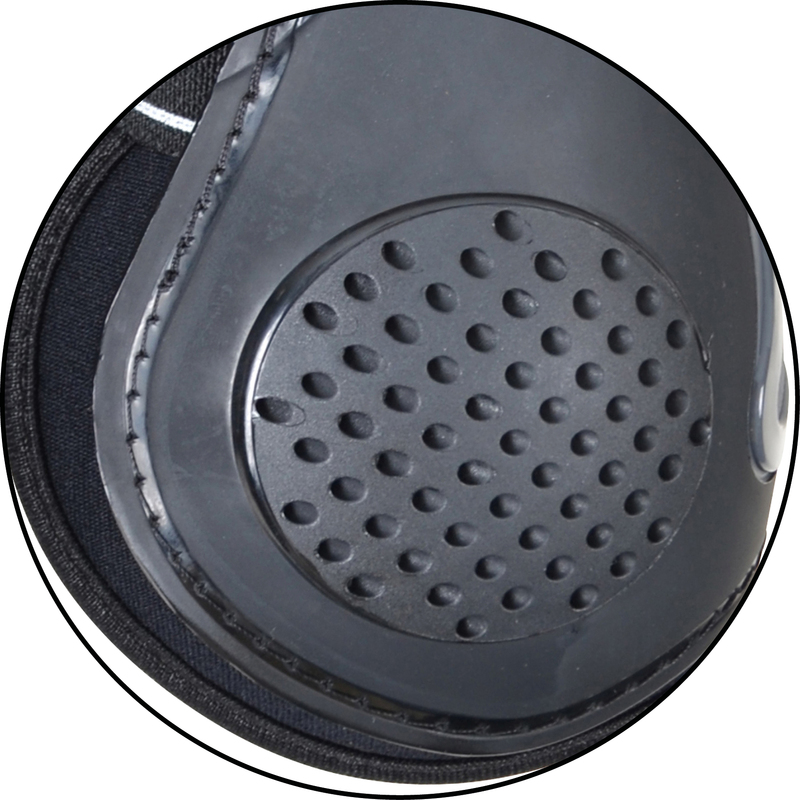 Inside of ceramic neoprene for added stimulation and comfort.